With an annual subscription to GenealogyBank you get a gift every day of the year: more content to research your family history, because every day we put more newspapers online. 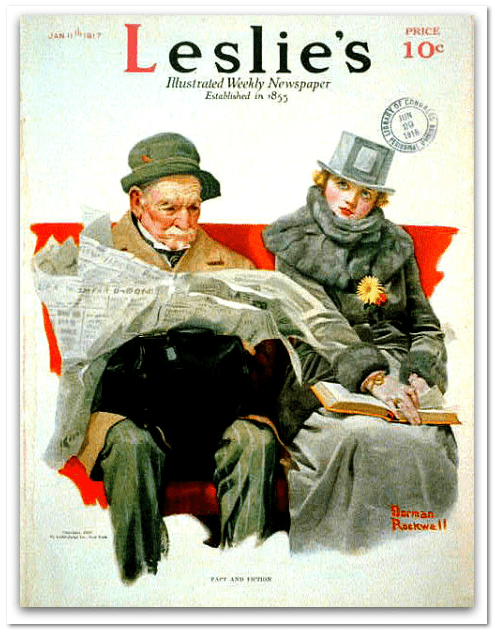 Leslie’s Illustrated Weekly Newspaper, art by Norman Rockwell. Read the newspapers your ancestors read. Find the stories of your family in GenealogyBank. We’re growing our online newspaper archives every day so that you can discover more about your genealogy. Here is a peek at the newspaper content we added today. Is it possible to search just these new additions?